Redrawn bodywork highlights the engine and aggressively pumps up the Super Sport style. A four-cylinder middleweight provides accessible and enjoyable engine performance tied to minimal mass and, for many riders, is a great place from which to begin – or resume – a motorcycling career. 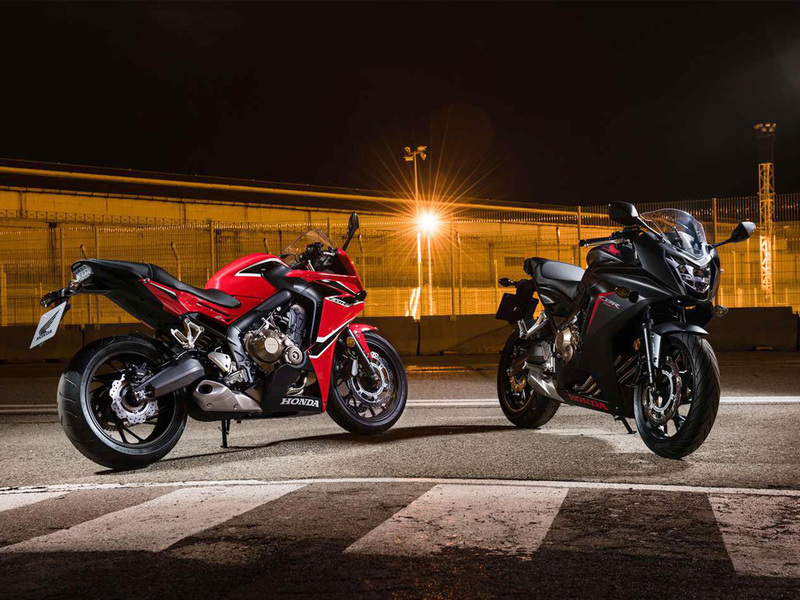 Designed by a young team of engineers, the faired CBR650F continues this tradition. On its introduction in 2014 alongside the naked CB650F*, it combined day-to-day practicality and ease of use with a strong dose of CBR-specification sporting intent and style. For 2017, the new CBR650F turns up the volume on every level: it’s still an easy machine to live with, but looks sharper, handles better, makes more power and delivers an amplified soundtrack that complements the sharper visual edge. Sharply angled, the CBR650F’s new fairing highlights the engine and accentuates the aggressive, ready-for-action stance, with an overall look and feel redolent of the 2017 CBR1000RR Fireblade. The headlight and taillight are now LED. The CBR650F’s steel diamond frame uses twin 64mm x 30mm elliptical spars with a rigidity balance specifically tuned (stiffer around the headstock and more ‘flexible’ in the spar sections) to deliver balanced handling characteristics with high levels of rider feedback. Rake is set at 25.5° with trail of 101mm and wheelbase of 1,450mm. Kerb weight is 213kg.